The listening dimension (orbit 3) creates an immense reflected space that expands the size of the room and absorbs the viewer into the work. 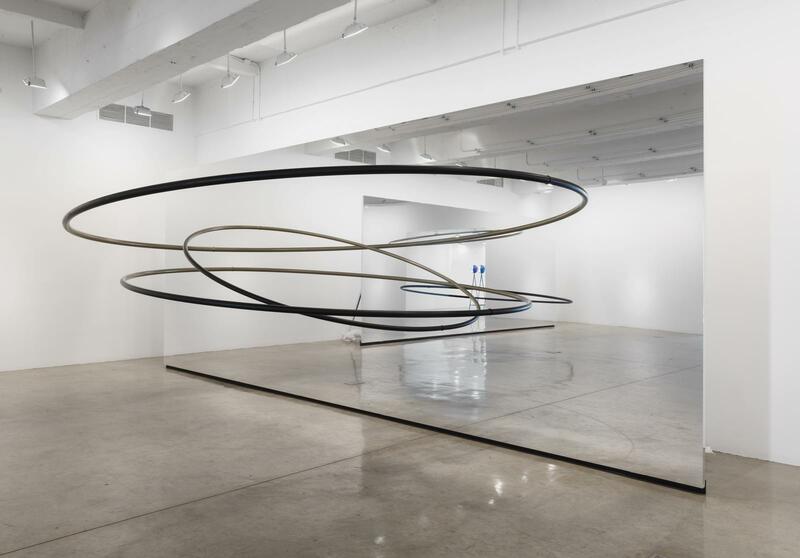 The work consists of three large brass rings, each painted black on its outer surface, that appear to hover in space. Upon closer inspection, it becomes clear that this illusion is created by mounting semicircular tubes to a mirror. 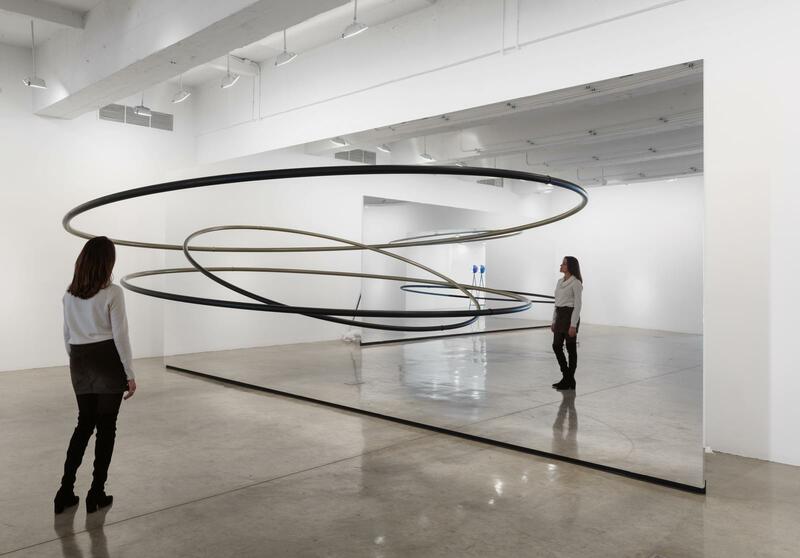 The reflection visually completes the circular forms, producing virtual rings that appear to traverse the boundary between the actual space and the reflected space. This doubled world, seemingly united by the illusion of the floating rings, generates a subtly destabilising and uncanny effect.